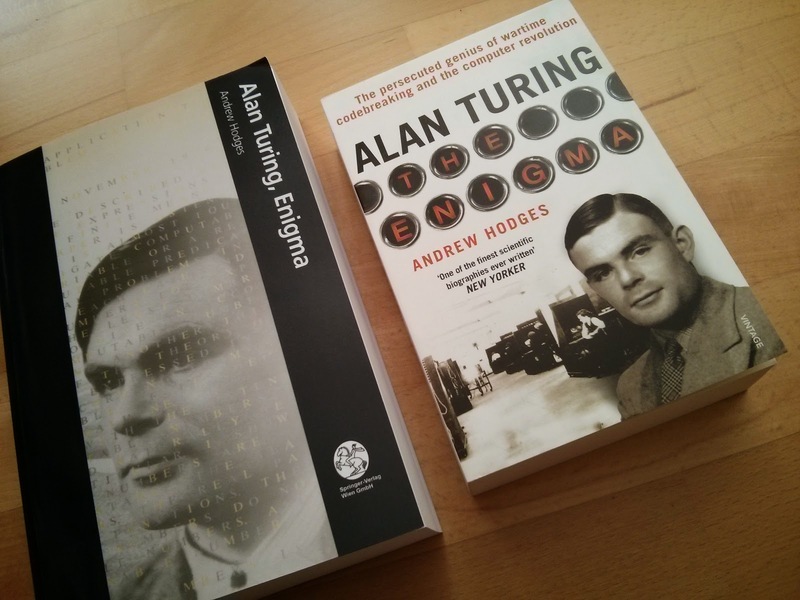 Andrew Hodges‘ „The Enigma“ is such a book that appeared in my life just because I learned back in 2013 that Benedict was about to play Alan Turing in the film „The Imitation Game“. Surprisingly enough I did know that Alan Turing was the man that helped breaking the German Code during the Second World War with the help of the Enigma machine – something I must have stumbled upon during school (thanks to my teachers and German curriculum). Because of the topic – oh God, it has something to do with maths which I’ll never understand in German how could I handle this in English?! – I tried and failed getting a German version of Hodges‘ book when I wanted it. So I gave an English kindle version a try just because it is cheaper and you know you do have a dictionary at hand when you are lost in language and maths. But I hardly needed it because Andrew Hodges did a very good job walking on the edge in between historical facts, technical explanations and bringing a man to life that was not only far ahead of his time when it comes to science or technology. He also was a man struggling to find his own way in a society that couldn’t cope with homosexuality as a normal form of living and loving but made it illegal forcing women and men to live their lives like criminals. Andrew Hodges‘ autobiography is full of historical facts, science stuff and biographical details that show that the author did a very proper and deep research. Far more it is a tribute to Alan Turing – full of love and admiration – who thought about computer and the way they might think and communicate with one another long before the word had it’s meaning and long before the word internet was even invented. „Enigma“ is a historical document and a thrilling novel that is a joy to read.